The driver of a stolen lorry and his three passengers have been jailed for running down and killing a woman. Jacqueline Wileman, 58, died when she was struck by the vehicle in Brierley, near Barnsley, on 14 September. The men were jailed for between 10-and-a-half and 13 years. 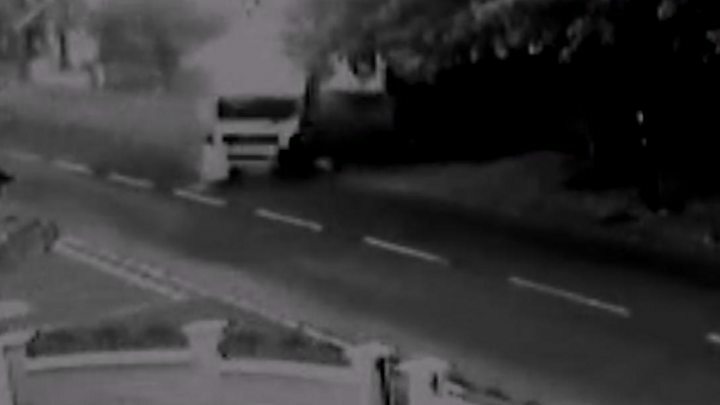 After hitting mother-of-two Mrs Wileman the lorry careered into the side of a house, partially destroying the building. The court heard Carroll had also been jailed in 2015 for causing death by dangerous driving after he ran down a pedestrian in Havercroft, near Wakefield in 2014. Jailing the men, Judge Jeremy Richardson said: "You gave not a thought to the safety of others and exposed many people to the risk of death and serious injury whilst you executed what you thought was a caper but, in truth, was an exceptionally malevolent course of conduct which had an inevitable disastrous and catastrophic conclusion." On the day of the crash the four men had been driving around South Yorkshire and had stolen fuel from a number of petrol stations. One witness described seeing the men laughing and joking inside the cab as Hill, who did not have an HGV licence, sped around the roads. The lorry also hit three vehicles, injuring the driver of one, and then ploughed into the side of a house, leaving a scene of "utter carnage". Mobile phone footage played in court, showed Hill and Carroll jump from the window of the cab and try to run away before being grabbed by passersby. Firefighters had to free Mawhinney from the truck after he had become trapped beneath the wall of the house, while Mellor was arrested at a nearby hotel after fleeing. Carroll, of Chestnut Street, Grimethorpe, denied that offence but was convicted by the jury. He was jailed for 12-and-a half years. Hill, of East View, Cudworth, admitted causing death by dangerous driving before the trial. He was sentenced to 10-and-a-half years. The men were also banned from driving for between 15-years-and-three-months and 16 years-and-three months.